Sea kayak fishing: Alabama Rig for North Sea Cod? Well, if it works for black bass, why not for cod? They're just as greedy and stupid! But let's not get ahead of ourselves here. First off, what is an Alabama rig? Well there seem to be various claims about who was the first to come up with the idea, but at its heart is an extremely simple representation of a shoal of baitfish. 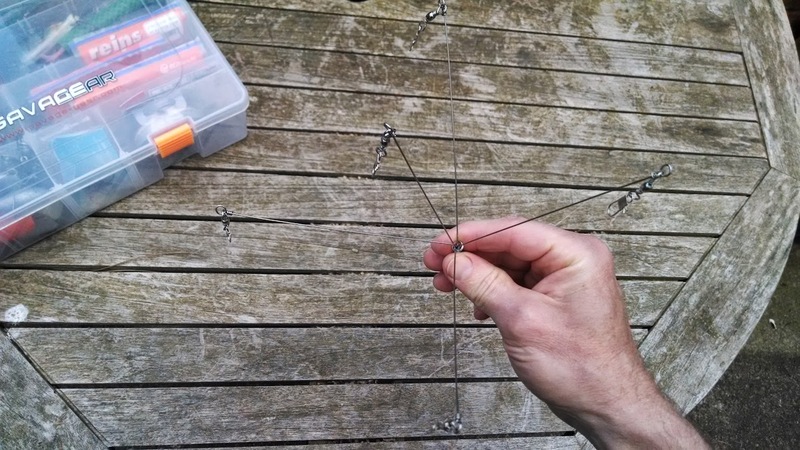 Essentially, the Alabama rig is a series of wires bound together with a lead head representing an even smaller fish. You push the wires outwards to make a star shape and attach a soft plastic to the end of each wire. The rig has had its share of controversy, some saying it's not sport fishing in any sense of the word, it's more of a commercial fisherman's rig. Indeed, it has been banned in a few states and bass tournaments in the US. 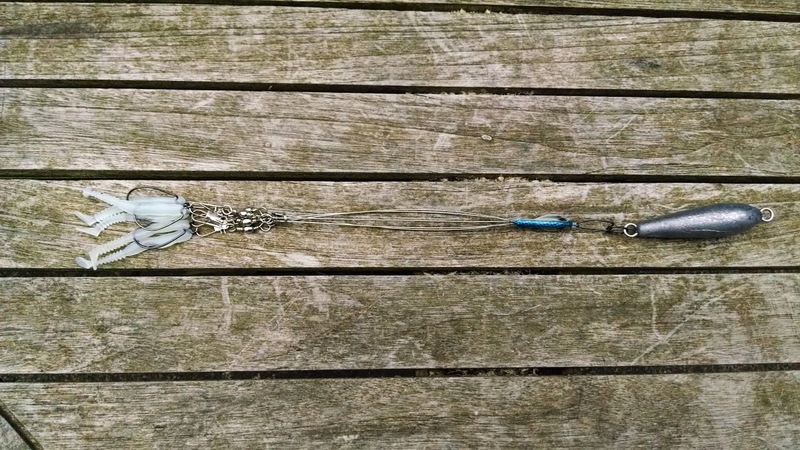 I attached mine to a 4oz inline trolling sinker or lead weight, so that it can get down to where the cod are despite strong tides or high drift speeds on the kayak. The idea is bump them off the bottom on the first drop and then fish on the drift, jigging the rig just within touching distance of the bottom. I have some of the 3'' Sakura Slit Shads which I really rate that I'm sure will work great on this Alabama rig. So, there you have it. 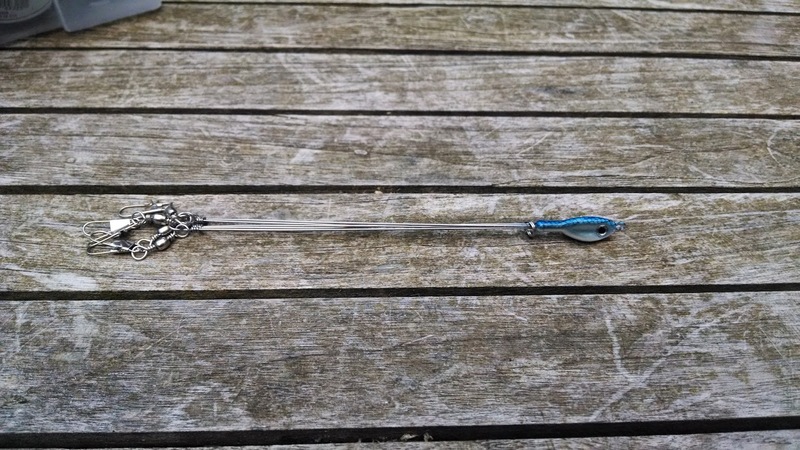 Simplicity itself, saves you tying up your own rigs, and gives a nice representation of a more natural group of baitfish than the 'string of lures' type rig we usually fish. 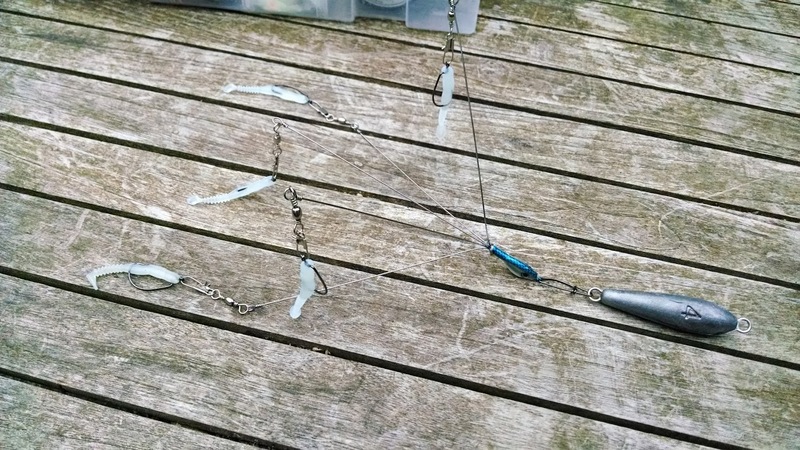 Yes it doesn't have the big bottom shad which we've found so effective at nailing the big cod, but I'm sure the smaller spring cod and pollack will hit this rig hard! But as always, the proof is in the fishing. Roll on good weather tomorrow at Runswick Bay! I have followed your blog for nearly two years and it was as a blog should be a personal account of your fishing trips and a personal account and reviews of the equipment you use and it has been excellent. However, it now appears to be becoming a Hobie Kayaks and Hobie Equipment Blog whether you actually intend to use it in the UK or not for example plans to review other Hobie kayaks that you will probably never use in your own fishing. Maybe this is a condition of sponsorship from Hobie? Please lets get back to doing some actual fishing and customising the kayak you actually intent to use in UK waters.Thanks a lot !!!!! !